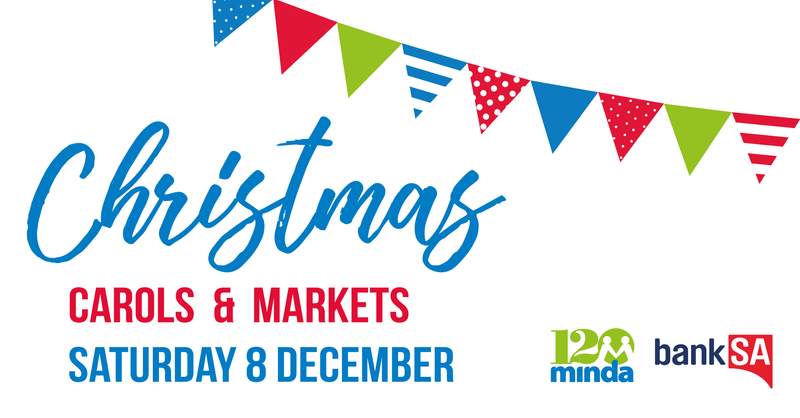 The Minda & Bank SA Christmas Carols & Markets are returning in 2018, bigger and better than ever! There will be plenty of entertainment for the whole family, with Adelaide's best food trucks and amusements including the tea cups ride, climbing wall, petting zoo, bumper cars, bouncy castle, face painting and of course, Santa! The highlight of this years event is our Christmas market, with over 30 stall holders selling a range of quality items such as Christmas gifts, home wares, candles, gardening and outdoor accessories, children's and adults clothing, toys and jewelry. Entry via gold coin donation, with parking available on site for $5. The event is licensed BYO. The Minda and BankSA Christmas Carols and Markets is run by Minda for the benefit of South Australians with disability and their families.